I guess it’s no big secret – I’m obsessed with GT wings and if executed properly, they can look deadly. Every single car I’ve had (minus the LS – understandable so, I hope), has had a GT wing, and it’s always my favourite part on the car. Yes, I’m a huge ricer but I don’t give two shits and I do want to set the car up to see a few track days next year – I’ve been itching to drive the FRS hard – like it’s meant to be driven. 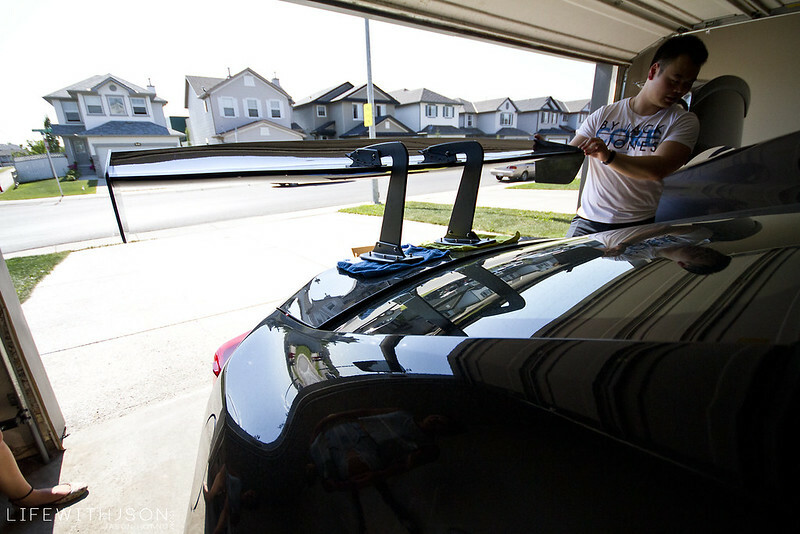 Anyway, Alan Hoang has been gracious enough to help me out all week in answering my questions about the new Voltex Type 7 Swan Neck GT Wing and since he’s probably the first in Calgary (and likely Canada that I’ve seen or know of) to have one, he was also kind enough to offer to let me do the ol’ try-before-you-buy deal. 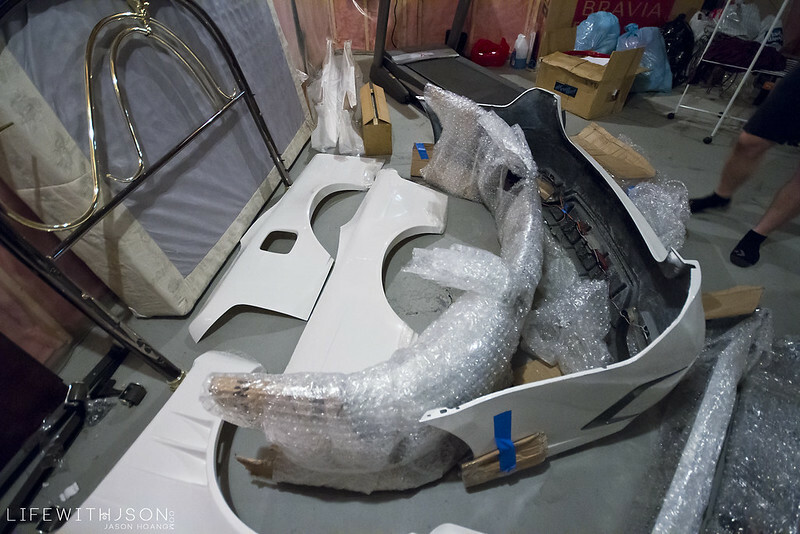 Alan’s Voltex wing was custom in the sense that Voltex made one-off brackets to fit his S14 since there is no application for it at the moment… Now there is. We brought it up from Alan’s basement of rare JDM goodies (which I took a few pics of below) and brought it up. Here it is mocked up my car. I’m at 10mm on my lens so it exaggerates the proportions a bit – I assure you it doesn’t look THIS big… But it IS big, there’s no doubt about it. Here I am zoomed into 20mm – less wide angle distortion and it gives a better view but still not “to scale”. 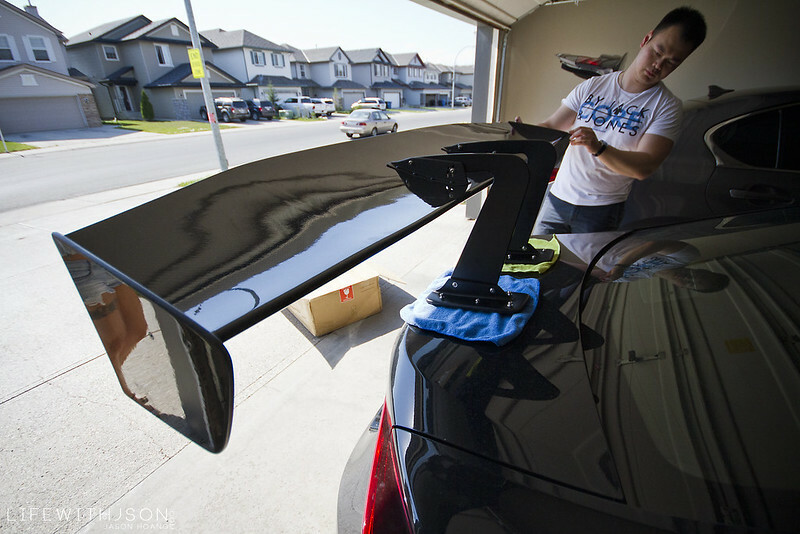 The wing itself is 1700mm which quite large for the FRS body in comparison to my 1650mm Voltex Type 5 on my STI and 1500mm J’s Racing that was on my Civic. 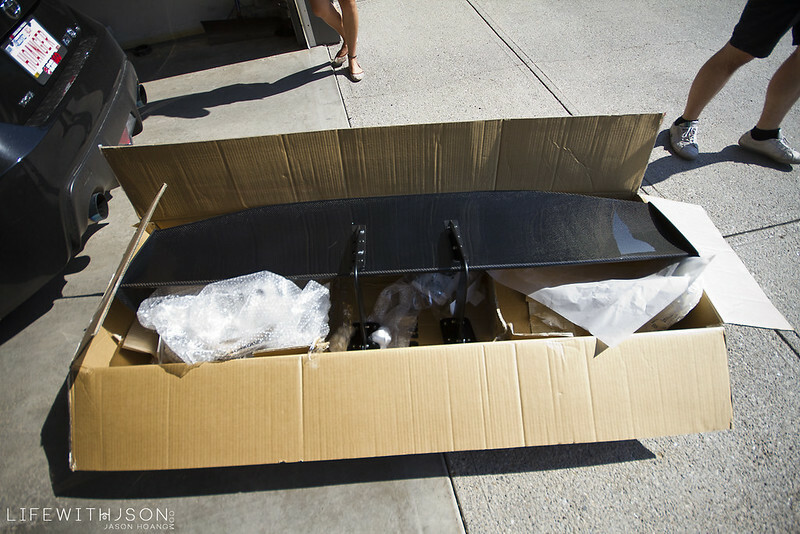 The wing span does, however, reach the edges of the top part of the wheel well. It’s proportionate – this is good. Another shot – particularly of the Swan Neck stands. My favourite part… These are extremely aggressive at 275mm tall. A shot from a little lower – again at 10mm which exaggerates the size greatly – shows the massive size of the air foil sitting at 355mm wide. 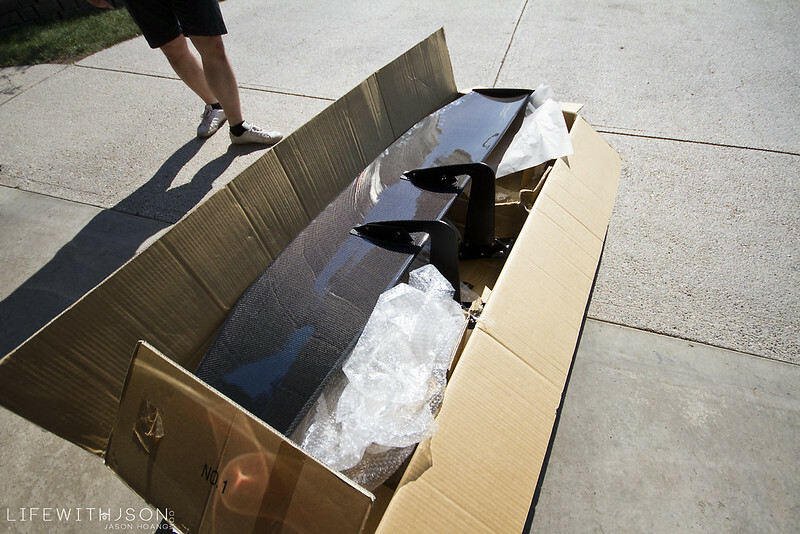 One of the widest air foils for a Voltex wing today. One last shot of the risers. 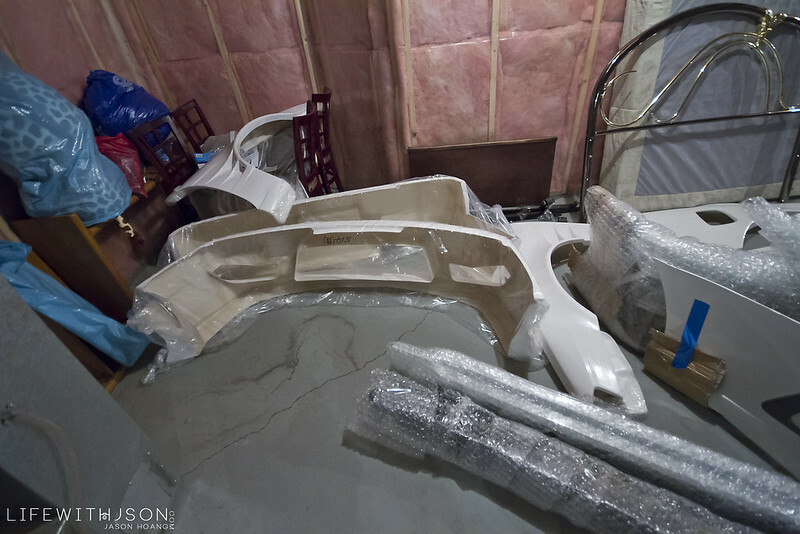 Down in Alan’s basement is the area of any JDM-lovers dreams. There is a plethora of rare and very sought after parts down here… In this particular shot – a Job Design VIP kit for Alan’s new Lexus GS F-sport. To the side a little bit are parts for his S14 – still waiting to go on as well. By this point, I’m wondering how the hell does this guy have all the patience to just leave this down here?! 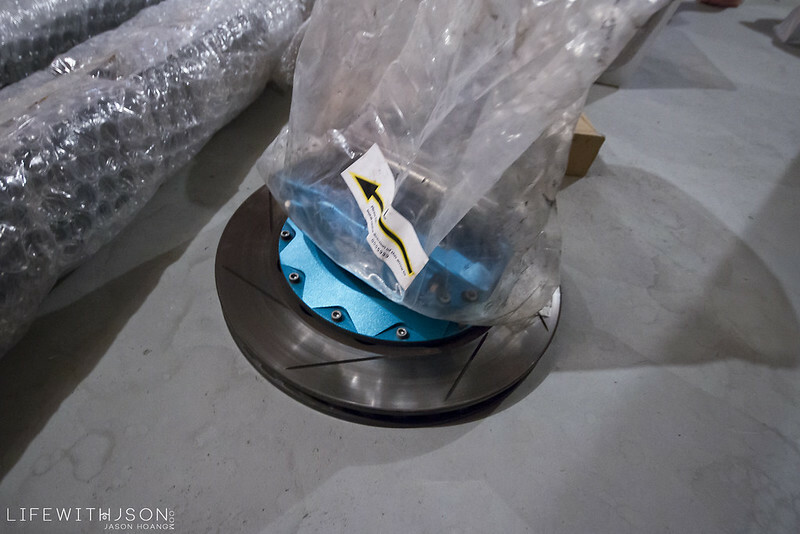 And right below my feet was one piece of the GS VIP puzzle – a Futura BBK. 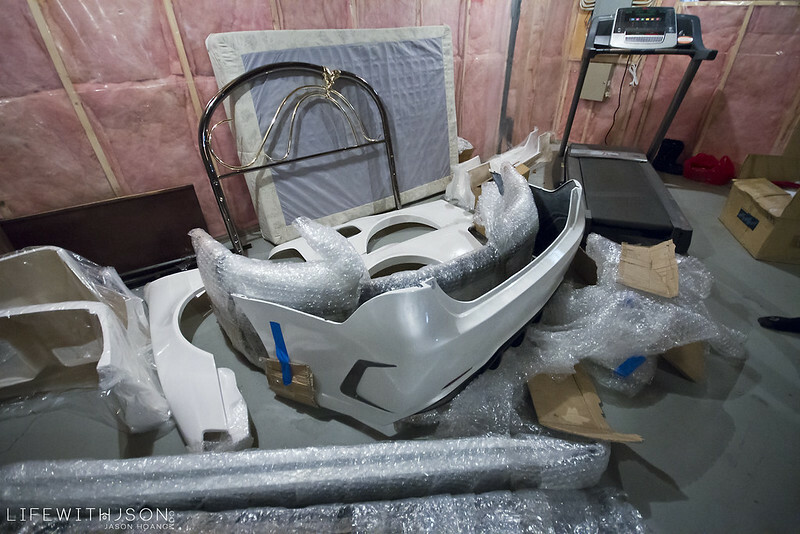 And back in the garage – the GS awaiting for its makeover. This will be – hands down – one of the best VIP builds in the city with literally no corner cut. With plans to add T-Demand suspension components to the mix, there’s nothing standing in it’s way from killing the game. Alan’s S14 is also a car that has really eluded the scene – I didn’t get a chance to see it, but when it finally comes out, I’ve already told Alan I got dibs on shooting it first. PS – we’re leaving for Vancouver tomorrow so stay tuned for coverage when I get back!